Love Songs compilation album songbook. 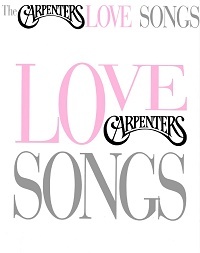 By the Carpenters. All the' love ballads, from their first big hit, "(They Long to Be) Close to You" to their later songs, like "Make Believe It's Your First Time" and "Where Do I Go from Here?". Released in 1997. By The Fray. Piano Vocal (Arranged for piano and voice with guitar chords). 6 pages. Published by Hal Leonard.